I’ve been told a few times over the years to “get a life”. I suppose they meant something mean, but who cares. I decided to get one anyways! 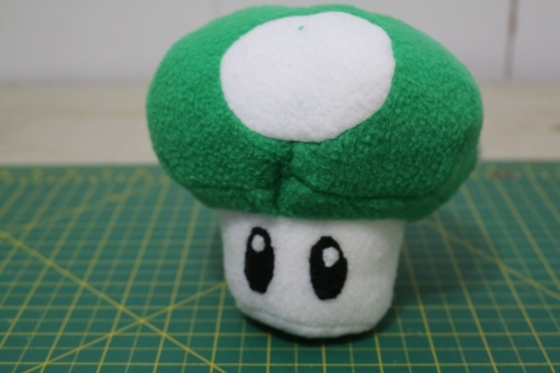 And in doing so, I decided to create my very own DIY 1up Mushroom Plush. If you’re looking to get a life yourself, feel free to download the pattern follow the video instructions and make your very own! I made mine in green and white, but there’s no reason why you couldn’t create an army of these cute little guys in pretty much any colors you can think of (or find the fabric for). I’d recommend staying away from green and purple though, those poisonous little buggers are a bad time.